This was a FAST and Easy but beautiful gift I made for my brother and sister in law and their new baby! This sign was F.R.E.E - my favorite kind!!! 2. Then I printed the word miracle. 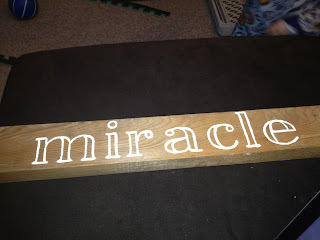 I used the tutorial here for an awesome way to transfer letters to wood and get them perfect every time! This lady is crazy smart! Visit her blog!!! 3. I used a ball point pen to trace the letters on the wood. You press super hard and it makes the smallest lightest imprint - but its enough! Paint your object on the inside. See on the right the indent it makes?! Awesome right?!!? 4. Then I painted it white! The font I used was called Easy Open Face. 6. 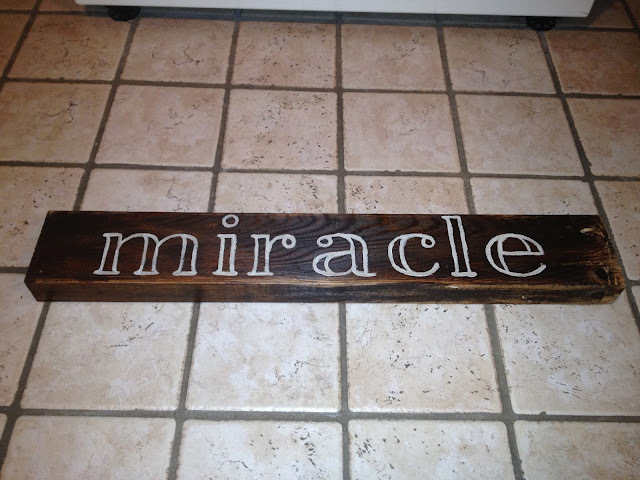 Once it is stained - let it dry - YOU ARE DONE!!! Sit back and admire your work!!! Leave a comment!!! 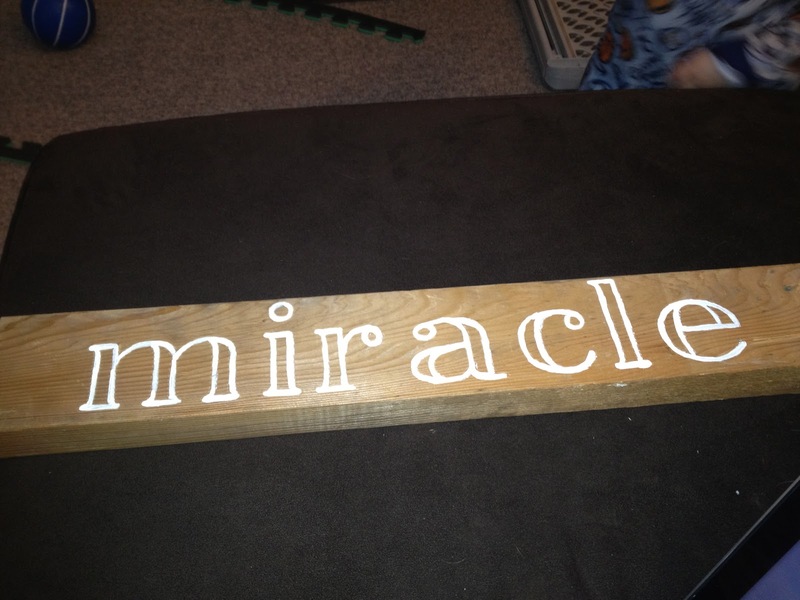 I would love to hear how you have done wood projects!!! How cute! I saw this on Pinterest tonight. Can you show the back of the sign? How will it hang?